CRM Mavericks are thinking and doing things differently, using CRM to transform sales, service, marketing and overall business. Their insights will interest you if you also want to challenge the status quo and make a difference. 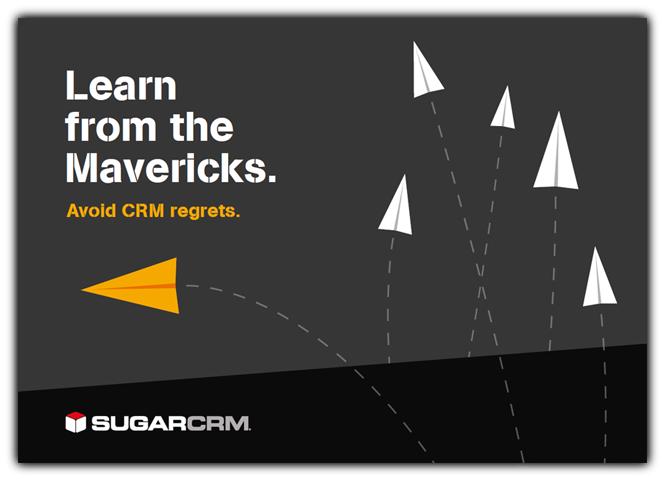 SugarCRM recent guide “Avoid CRM regrets: learn from the Mavericks.” looks at how Mavericks weigh up pros and cons when deciding which CRM to choose.